The 2018 CMT Artists of the Year ceremony was full of heartfelt moments and jaw-dropping live performances! Watch the highlights here! Wednesday night’s 2018 CMT Artists of the Year event was all about the women of country music! This year’s honorees included Carrie Underwood, Miranda Lambert, Maren Morris, Kelsea Ballerini, Lady Antebellum’s Hillary Scott, plus Little Big Town’s Karen Fairchild and Kimberly Schlapman. Country music icon Loretta Lynn was also honored with the Artist of a Lifetime distinction. Sadly, the Kentucky native was unable to attend the ceremony due to illness but actress Sissy Spacek, who played the star in the 1980 film Coal Miner’s Daughter, accepted the award on her behalf. Well Y'all, leave it to me to go and get sick on the very night all my friends are getting together to honor me at the CMT Award Show as their Artist of a Lifetime. I can’t believe that I'm not gonna be there tonight in person, but I am watching and I’m there in spirit! Watch all of the moving acceptance speeches and performances below! 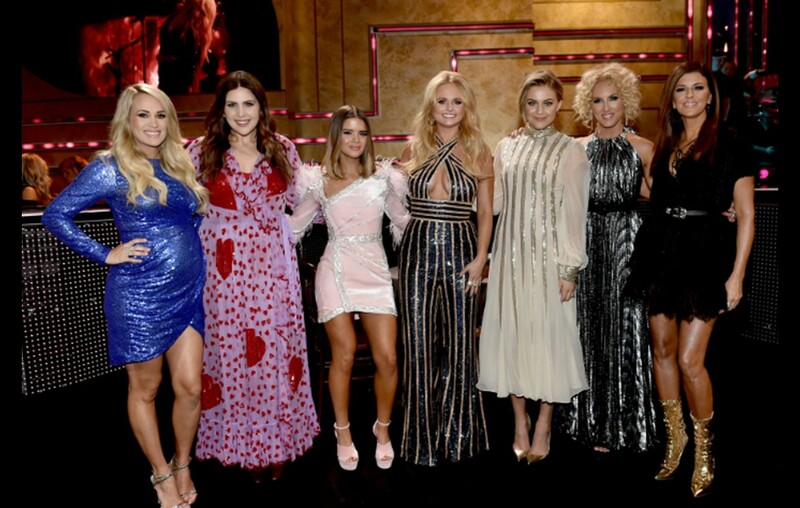 Kelsea Ballerini thanks the women who have lifted her up in her 2018 CMT Artists of the Year acceptance speech. Miranda Lambert honors country music’s women in her 2018 CMT Artists of the Year acceptance speech. Maren Morris salutes the women of country music in her 2018 CMT Artists of the Year acceptance speech. Enjoy Hillary Scott’s beautiful 2018 CMT Artists of the Year acceptance speech. Hillary Scott, Tori Kelley, and Kirk Franklin perform medley of “American Honey,” “Never Alone,” and “Oh Happy Day” live at the 2018 CMT Artists of the Year. Maren Morris & Brandi Carlile’s perform “Natural Woman” live. Enjoy Sissy Spacek’s moving speech as she accepts Loretta Lynn’s CMT Artist of a Lifetime honor. Karen Fairchild, Kimberly Schalpman & Gladys Knight perform “I Can’t Make You Love Me/Help Me Make It Through The Night” medley live at the 2018 CMT Artists of the Year. Watch Martina McBride, Dierks Bentley & Sheryl Crow’s tribute to Loretta Lynn live from the 2018 CMT Artists of the Year. Carrie Underwood, Maddie & Tae, and Runaway June pay tribute to the iconic women of country to close out the night! What a night! Congrats to all of the artists who were recognized and share these highlights with other country music fans!